Riedel Communications’ new Bolero wireless intercom system was used alongside a MediorNet real-time network for crew communications at the recent Hillsong Conference for Christians in Australia. The spiritual gathering of more than 22,000 attendees that took place 4-7 July at the Qudos Bank Arena in Sydney represented the largest install involving the Bolero system system to date. 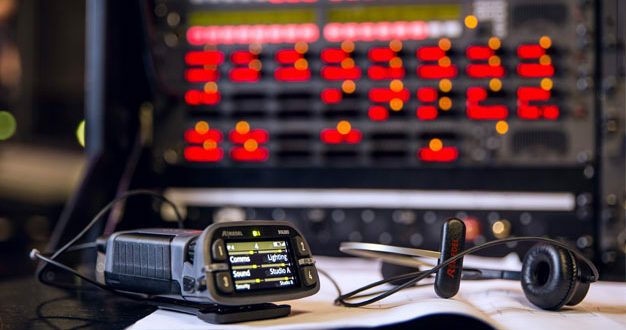 55 Bolero beltpacks were distributed to production team members throughout the arena and backstage, while 40 MediorNet nodes provided the integrated audio, video, and data communications backbone for all production spaces. Hillsong Conference is one of three large annual conferences sponsored by the Hillsong Church, a global family of Christian congregations. The Riedel engineering team deployed the MediorNet nodes throughout the Qudos Bank Arena and also integrated MediorNet MultiViewer to provide comprehensive monitoring. Up and running just five hours after the truck doors opened, the MediorNet network transported, routed, and processed every live and broadcast video signal from cameras to screens, with routing capacity of more than 1,000 Gbps over 14 multicore fibre cables. 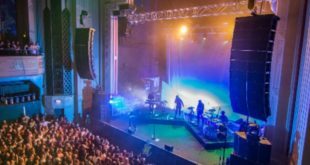 For intercom, the team deployed more than 200 Artist digital matrix ports for Bolero beltpacks, Riedel 1100 series panels, and SmartPanel control panels. Communications for the entire main arena were easily handled from a single antenna location courtesy of Bolero’s Advanced DECT Receiver (ADR). "The combination of MediorNet, Artist, and Bolero is really unbeatable for complex, large-scale events like the Hillsong Conference," said Riedel technical operations manager Chris Johnson, leader of the on-site Riedel engineering team. "Hillsong Conference had high production values and a very tight schedule, which meant we had to be up and running fast, and be able to react quickly to changes throughout the event. 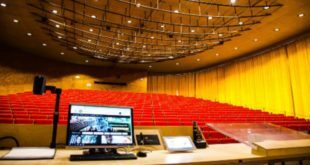 "With MediorNet as the system backbone, we were able to make fundamental signal distribution changes with a few mouse clicks. Artist and Bolero are fully integrated, which means we can set up wired or wireless communications quickly in any place with a MediorNet frame,” Johnson added. “On top of that, Bolero delivered outstanding RF performance, which made high-quality wireless comms in tricky places very easy and reliable."